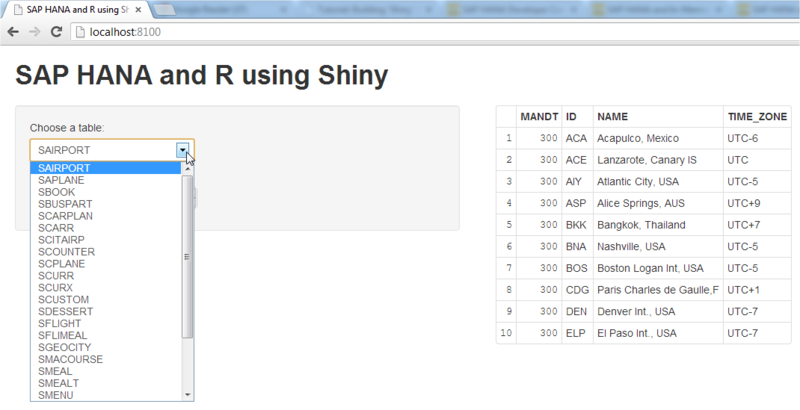 As you may already know…I love R…a fancy, open source statistics programming language. So today, I decided to learn something new using R.
There aren’t much Web Servers for R, but there’s one that I really like called Rook, that I covered on my blog RSAP, Rook and ERP. So you may ask…so what’s so cool about Shiny? 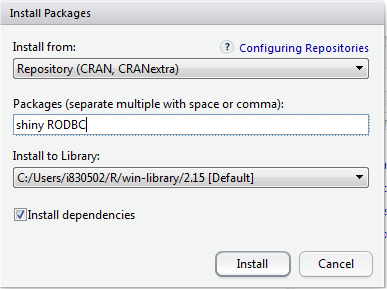 Well…besides the fact that it allows you to create web applications using R…it’s completely dynamic…meaning that once you change a parameter, the graphic and not the whole web page is reloaded automatically…awesome, huh? 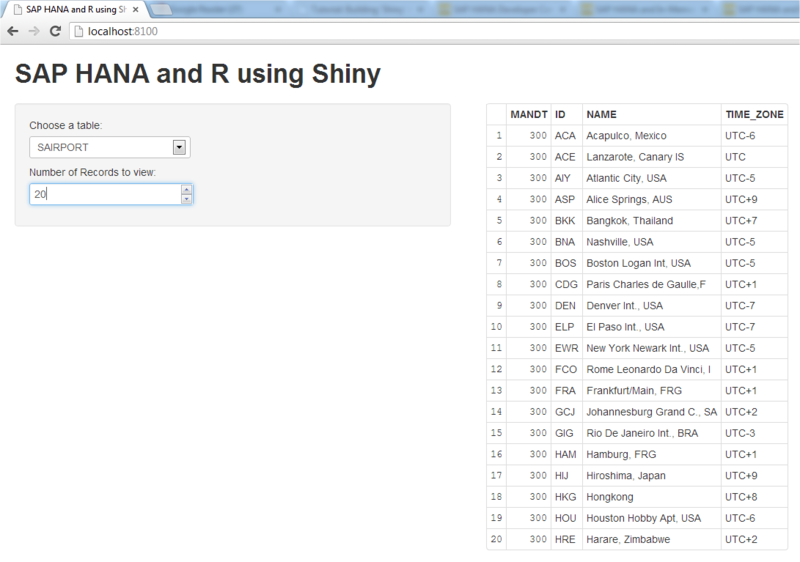 After this, we need to create a folder called Shiny and after this create a new one called SAP_HANA_R (This is just to be organized). When we have finished with the two files…we can create a new one just to call our application. 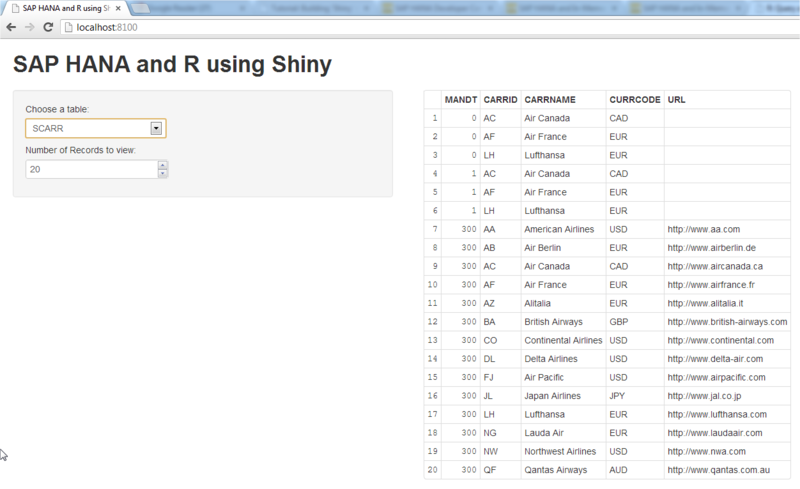 When we run Shiny_HANA.R, the browser will popup showing the parameters and the table by default. As you can see, we can choose a new table to display.